“In the 21st century we have seen a tendency towards blurring the lines between the states of war and peace. Wars are no longer declared and, having begun, proceed according to an unfamiliar template,” he continues, “among such actions are the use of special-operations forces and internal opposition to create a permanently operating front through the entire territory of the enemy state, as well as informational actions, devices, and means that are constantly being perfected.” In Gerasimov’s hybrid war, “political, economic, informational, humanitarian, and other non-military measures” are drawn upon. In the West leaders were right to see his Doctrine as an outline for attacks on the West, it’s exactly what Russia has been doing. He wrote that “long-distance, contactless actions against the enemy are becoming the main means of achieving combat and operational goals,” and “all this is supplemented by military means of a concealed character, including carrying out actions of informational conflict and the actions of special-operations forces.” Gerasimov though is no strategy architect, he believes these tactics are what are already being done by other nations and he wants Russia to outstrip the West and take a leading position. Dr. Pawel Kowal has described how Russia’s actions with its hybrid war against the West is meant to observe reactions. He sees the nerve agent attack against Skirpal in the UK as very deliberate in being carried out in a public place. It could have been a means to test how successful an operation could be and how the situation would play out with allies and media. More importantly, these tactics involve little risk to Russia. 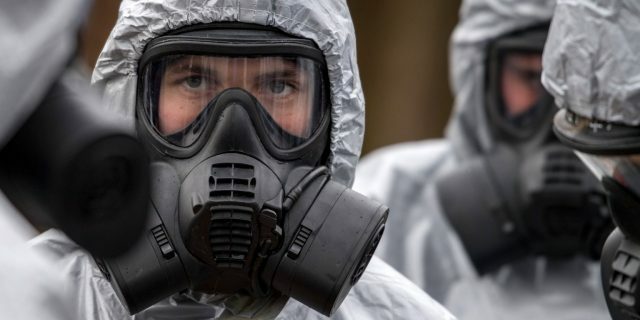 It’s too soon to say what role if any Russia has played in the recent gas attack in Syria but again it could be part of an attempt to sow division in the West and test responses. The result is that actors like Russia continue to compile data from these events, data that is used to see how their enemies react, if they react with “fear,” as Kowal states, and what fault lines exist that can be exploited to sow division and destabilize opponents. These tactics work because traditionally they carry little risk but have big payoffs. For this to change, the risks for Russia have to increase beyond the loss of diplomats. Sanctions that have teeth, and that target the money of Russian power brokers is a good place to start. Russia also has plenty of internal divisions of its own that it is very worried about and could be exploited, and doing so could also make this traditionally lower risk “hybrid war” one that might not be worth continuing. Before I start this post, I’ll discuss what motivated it: one of Snowden’s cultish-like followers telling people to get VPN from outside of Five Eyes countries (meaning US, Canada, UK, Australia, New Zealand). This was the straw that broke the camel’s back for me on this issue. I don’t think a wide ranging recap is warranted but for those living in a cave for the past 6 years, Edward Snowden revealed methods by which intelligence services and signals intelligence services monitored communications, such as internet communications, following 9/11. It was the “revelation” of mass US surveillance. Full disclosure here, there was a time when I bought into the Snowden scares. I took measures to safeguard my privacy online, got a little paranoid about the whole “internet being monitored” bit etc. But to be fair, as a student of state repressive laws and policies, (and when bittorrent was hugely popular) I had figured those communications were already being monitored before Snowden came out with his document dump of classified material proving it. So what changed for me? Why does this guy and his privacy parade bother me so much now? It’s certainly not because I don’t think privacy important, sure I do, I still use encrypted email and even VPN through my browser. So what’s different? A few things. I’m not in grad school anymore and that’s important because when you’re surrounded by other people talking about big bad government all the time, it tends to cloud your judgement. This isn’t a knock against university but the climate of the time in which I went through it was the same time George W. Bush invaded Iraq, secret prisons, anti-terror law, surveillance and even torture were in the news almost daily. So I was wrapped up in the Snowden “mass surveillance is evil” atmosphere of the era as were most people. What else has changed? Since that time, Snowden’s biggest most well known allies in the “freedom” crusade, Julian Assange and WikiLeaks, have proven themselves to be avid supporters of one of the most anti-free speech, anti human rights governments in our era – Russia (and this is thanks to it’s leader Putin). It goes further. Chelsea Manning, once Bradley Manning, the individual who also turned over troves of classified docs to WikiLeaks and was imprisoned for it, has recently been chumming around with members of the far-right in the US. Many individuals in that movement also idealize Russia and Putin as the last “savior” of the white race (only heterosexuals though). So when the crowd surrounding Snowden and those that helped him leave Hong Kong have these ties, and Snowden escapes to Russia, one cannot help but wonder and think that maybe old Ed’s sympathies lie not with the West but with Kremlin.Even some journalists that covered his story in the Guardian, and have since left the paper, have appeared to be far more critical of US institutions than of Russia and the current US president’s possible connections to that country. 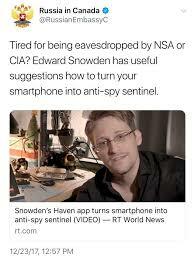 But even if you think Snowden did his exposure for the right reasons (he was morally appalled by surveillance techniques and programs etc.) you have to admit that presently everything he says on this issue benefits his host nation, Russia. And that’s because all his discussions about surveillance almost exclusively center on how horrible the West was in its surveillance programs because that’s his realm of experience. Add to this the man has to make a living now and by his own admission that living has to come from public speaking. And what is the topic he’s publicly speaking on? You guessed it, the evils of Western surveillance. The Russian state propaganda news outlet, RT, was perfectly willing to feature him and his privacy app on their programming for God sakes. Can he speak about the human rights abuses of his host nation? Nope, not a word because certainly if he tried it he’d be gone in a heartbeat, his usefulness dried up. Put simply, he’s presently become a tool of the Russian state, either willingly or through shortsightedness, but the result is still the same. And there is the rub for his cult-like followers that hang off every word he says about surveillance. Even if he wasn’t working for Russia when he leaked his docs, his absolute stupidity in geopolitics led him to end up being used as a propaganda piece and tool of a corrupt anti-western regime in a geopolitical game. So there is no either or here. There is no he’s a “traitor” or a “hero.” He leaked docs, and that happened either because he was a traitor to start with or allowed himself to become one out of gullibility, foolishly blinded idealism and/or stupidity. So why did that comment bother me? Because education has since made me realize how foolish that statement is. This doesn’t mean I support illegal surveillance or abuses of power, if anything, the incident revealed how internal policing methods to protect against such abuses need to improve, not that such leaks should be dubbed “heroic” by the media and praised. You could call it a chicken and egg scenario. How do you do the reform without the leak and vice versa? Well, I think worth asking is: was the leak really necessary? I ask because this recent surveillance originated with a public W. Bush Executive Order that authorized warrentess surveillance and that order was already being publicly challenged. Those studying this were aware of this before Snowden as was anyone interested in the law. What the leaks were more focused on was how the NSA could do its surveillance and that was completely separated from any contextual discussion of why they were doing it and who they were looking for, and the why and the who was/is pretty darn important to the discussion. If you could challenge the order in court, why expose the surveillance methods used by your government which helps your government’s enemies? You cannot deny his leaks helped governments hostile to his. VPN, encrypted email, etc. were all available pre-Snowden if anyone cared to use them (I did, still do occasionally) and post-Snowden I doubt many people changed their online habits anyway. Snowden supporters, even with Snowden’s leaks, you have more privacy today in your communications than you ever had!! In Canada for instance, intelligence has never had this much public oversight and this much public debate and this much judicial regulation in it’s history! It was teaching about this history that opened my eyes to this and seeing historical documents on the subject. How much oversight and how much regulation is there in Russia? After all, Snowden’s followers think you should get a VPN from outside of the 5 eyes. Newsflash, Russia just tried to execute a former spy in the UK, that’s because there are NO limitations on their intelligence services.In the end, the Western intelligence services I’m sure don’t give two shits about your downloading of Game of Thrones, your political views, or much of your online activity, unless you have a thing for downloading and uploading jihadist training videos, childporn, organized crime, spreading disinformation or engaging in espionage, you should be OK. Russia on the other hand, Snowden’s host, won’t even tolerate your criticism of the government, even if it’s legitimate. This doesn’t mean we give people blank cheques. Of course we should scrutinize and debate the powers of agencies but we should keep that discussion in perspective based on where we are today and where we’ve come from. What I can’t stand more than anything is blatant hypocrisy, and there’s nothing more hypocritical than a guy currently going on and on about Western surveillance (to make money off his talks) all while trying to sell a privacy app promoted by the Russian government. Are you kidding me? So in sum, yes I’ve had quite enough of Mr. Snowden. The Washington Post added the phrase “Democracy Dies in Darkness” back in February 2017 under its online masthead. 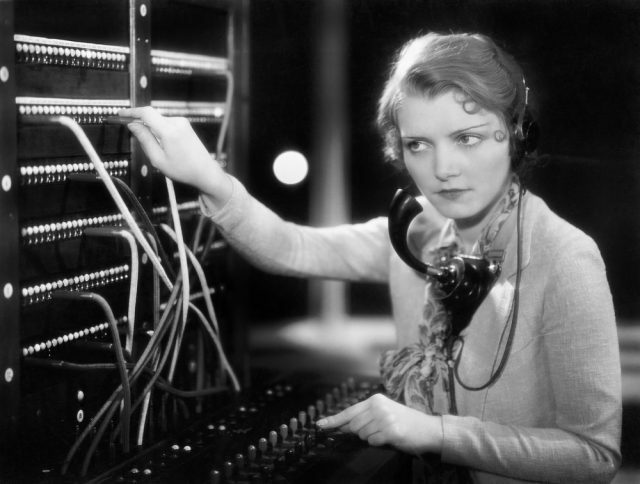 The phrase dates back to judge Damon J. Keith and his finding that the government could not wiretap individuals without a warrant in the United States v. Sinclair (1971). While the phrase invokes a sense of cleansing by shining a light on devious actions and signs of dictatorship, the reality is far more banal. Democracy has continually been eroded or “dies” not as a result of a deep state, secret cabals, or conspiracies or shadow governments. It does so right before one’s eyes. A consolidation of power by a dictator happens quite openly. While not a democracy, in Russia Stalin needed no secret plans to assume complete control over the Soviet state. He blamed a secret conspiracy or group, the Trotskyists, as trying to undermine him along with the British and other western nations whom he accused of filling the state with spies. Whether he believed these things or not is debatable but the result was not a secret. Executions and Gulags were widely done. 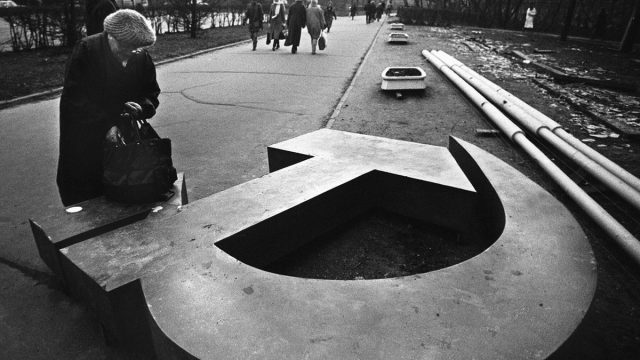 Was the Soviet state a democracy? No, but the removal of the provisional government in February 1917 that replaced the Tsar didn’t take place in secret either. The fall of the Reichstag and the rise of the Nazis happened in plain sight. There were of course conditions that had to be met, a secret conspiracy or plan to remove the government, usually but not always a foreign element is blamed, an increasingly widening social divide or inequality and the despot claims to speak for the marginalized or victimized, supporters willing to use violence, a press that is restricted from reporting and being open and free, and weakened state institutions among other things. In the case of Hitler, as with Stalin, the rise to power was a slow climb. Many Germans thought dictatorship in Germany was impossible, its diversity wouldn’t allow it. The conservatives who helped Hitler achieve power thought he could be tamed and kept under control. The burning of the German Parliament, the Reichstag, cemented his rise to power with the passage of the Enabling Act which gave Hitler temporary emergency powers to operate outside the constitution and suspend civil liberties. In the case of Nazi Germany, democracy never actually “died.” The Holocaust and Hitler’s atrocities were completely legal. Democracy didn’t die, it was “temporarily” and legally suspended. There are many other examples in recent memory. Castro’s victory in Cuba was the result of an openly fought revolution to replace a dictator and his consolidation of power was assisted by his open feud with the US. The continual erosion of democracy in Turkey came about gradually as Erdogan blamed a coup attempt on a secret conspiracy and used it as a pretext to wipe out opposition, and stifle the press and he continues to do so. Putin’s power grab in Russia began with a war against a “foreign” enemy, Chechnya, his consolidation of power was achieved by jailing or forcing the exile of opponents and limiting the powers of the press. None of this relies on darkness. If anything, dictators often rely on and benefit from democracy. Dictators benefit from democracy because they need to use all the legal measures at their disposal (to support their victimization narrative) and the right to free speech to get their message out. 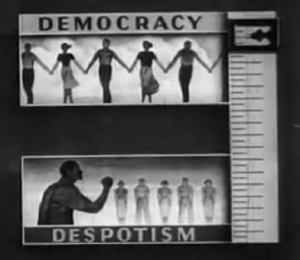 It is often the dictators that know democracy better than the democratic citizen. Democracy doesn’t die in darkness, it dies when you’re not paying attention. By now you’d have to be living under a rock to not have noticed the resurgence of the far-right (I don’t accept the use of the term “alt-right,” it’s not a viable alternative). 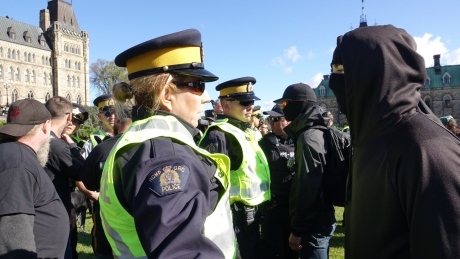 From protests in the US, Europe and even in Canada, the far-right is trying to make its presence known and its never had a better opportunity to do so. Countering it will be far more difficult than people may think. That’s the reality on the ground, but the pervasiveness of far-right ideology isn’t limited to just appealing to the down and out. Far from it. In the modern age, the far-right has been careful to mask their racist and misogynistic pro-white views in the language of “fairness,” at least initially, once they feel support is present they are happy to bring the issue back to race. But the angle they take is that it’s not that they’re racist, it’s that things are just not fair, be it in ways of speaking (having to use gender pro-nouns) to the right to insult anyone they please (free speech). This language of being unfairly treated allows them to not only reach the dejected worker, but the academic who feels like their freedom is impacted, the student who feels they should be able to say as they please and even the politician who may agree with much of it. It allows the ideology to reach into government, into the security services, into police departments, the education sector, even the military and immigrant communities. I’ve heard of a number of Canadians who originally immigrated to Canada decades ago making similar far-right pronouncements claiming that current day immigrants (often non-white) don’t work as hard as they did. It’s just not fair. Why are whites being blamed for the world’s problems or the problems of the past? It is this language of fairness and victimization that enables the ideology to be so pervasive. Unlike the days when communism was a movement, this ideology is harder to spot, as many people will not publicly admit to supporting it, unless they believe themselves in the company of a fellow traveler. It isn’t an ideology that promotes equality but self-centered individualism. It isn’t a radical sect of a religion or limited to a geographical region though presently it is manifesting itself in Europe, North American and Slavic nations. The biggest present threat is that Russia is promoting it abroad and using it to sow division in the West but also to have itself seen as the last guard, so to speak, protecting whiteness and masculinity. A number of far-right groups have professed support for Russia, claiming it isn’t the enemy and if the ideology can be, and is, as pervasive as I’ve outlined, they may certainly try and garner the support of not only politicians but Western citizens working in the many different sectors as I’ve outlined. Countering the disinformation becomes much harder when so many agree with it and it enters various levels of government and security personnel. I’m not sure what the answer is but it will certainly not come from platitudes and encouragement for everyone to hold hands and sing songs. Too many of those hands are presently and silently clenching into fists. It is no secret that Russia has engaged in attempts to subvert Western democracy and elections. Yesterday U.S. Senator Ben Cardin released the Senate Foreign Relations Committee Democratic Staff Report. The Report details Russia’s activities in subverting and undermining democracy and elections over the past 30 years both at home and abroad. It is revealing in what it tells us about Russian activities and at the same time the document details how these activities fit a broader historical trend in terms of Putin sharing similar fears with past Russian leaders. I will summarize it below and offer some analysis. Putin operates from a position of weakness not strength. As much as he would like to portray the latter to the world, the reality is quite the opposite. The Russian economy is in a precarious state, the military isn’t as modernized as he’d like it to be, and power struggles continue. We’ve known those battles occur in the upper echelons of power between nationalists and those wanting greater ties with the West and in the streets with various groups vying for the support of the people from the well known Alexi Navalny to the communists. In spite of the attention Navalny has gained in the West, the communists pose a serious challenge to Putin’s regime as the ideology has the support of older Russians wanting a return to the “good old days” and a youth just discovering it. Putin was very careful to offer no state celebrations for the 100th anniversary of the October Revolution not wanting to boost public support for it. Putin practiced subverting elections and democracy at home with the war in Chechnya. That war began following a rash of apartment bombings and in spite of no clear link to the attacks, Russia began bombing in Chechnya. Putin took note that the war boosted his popularity, it is something he has become personally obsessed with, i.e. maintaining a high approval rating. To counter dissent at home and ensure he has support Putin relies heavily on his domestic security services which he personally oversees, the FSB. The FSB also controls the country’s Investigative Committee, which is akin to its version of the FBI. There is thus no oversight between the prosecutor’s office and the Committee or the courts which often default to it when making decisions. It is political policing at its finest. 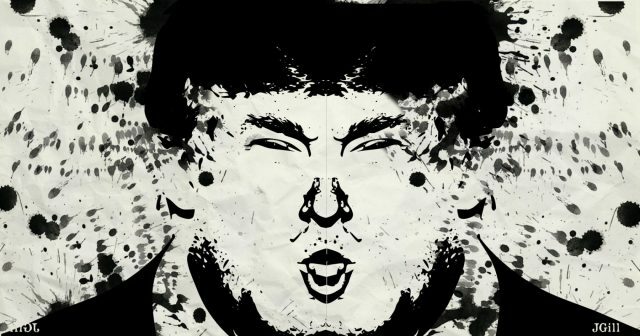 The techniques mastered at home included disinformation campaigns to sow confusion, support divisive political groups to ensure Putin appears as the ‘voice of reason,’ and degrade support for democracy. These tactics were exported to Russia’s surrounding areas, areas that Putin believed Russia had a historic right to control, before spreading abroad. Russia’s security services also have no oversight of their activities, and are well funded. The aim of all this is to secure Putin’s position at home but also to destabilize the international order in place since the Second World War. The Report reinforces what we know of Putin’s aims for Russia broadly speaking. For Putin, the international order has not benefited Russia and it is one that Putin believes has increasingly encroached on Russia’s ‘sphere of influence.’ It is an order that seeks to control Russia not work with it. A return to a pre-war order, one where nations controlled ‘spheres’ is one that Putin believes would benefit Russia irregardless of the international strife and war it is likely to cause (as it did then). To maintain what is really a fragile grip on power, Putin has enriched those loyal to him (and himself) by raiding state coffers and ensuring state institutions remain hollowed out as well as opposition parties. They must still exist because the semblance of a system is important to maintaining a semblance of legitimacy. In addition 28 journalists have been killed since 1999. Physical attacks on opposing forces in Russia are common and go unpunished. Putin projects himself as a defender of religious and cultural values against an “illiberal free world” where “multiculturalism and gay rights” spread with globalization. Propaganda and disinformation tactics predate Putin and go back to the Soviet era but Putin has regularly relied on these tactics to consolidate and preserve his power at home. Media editors are regularly fed Moscow’s line and state media in Moscow regularly blur the line between news and entertainment boosting support for the Kremlin’s message. These tactics were used abroad as well. For example, during the Russian invasion of Georgia in 2008, controlling the media was one of the first priorities in the invasion. Disinformation attacks are not new as mentioned. During the Cold War, the report indicates that roughly 10,000 such attacks were orchestrated by the Soviets. Technology and a ramped up offensive effort by Russia has made them more frequent. Russia believes that such campaigns, which seek to discredit democratic institutions and agencies and have people lose faith in the process, are possible in the West because of its support for free expression and speech. In other words, Russia believes it cannot suffer the same fate because it strictly controls its media and what its citizens can express. Since 2004, the Russians have engaged in attacks against 27 other countries including cyber-attacks and disinformation attempts. The operations cost little but can have a large payoff if a country’s divisions can be successfully exploited. At the heart of Russia’s goals is to blur any attempts at achieving an “objective truth.” As the Report states, “If everything is a lie, then the biggest liar wins.” Whatever information helps Putin is considered truth. To spread its version of “truth” Russia has invested and financially supported a wide range of far-right groups in Europe, and even NGOs and think tanks. Figures in Russia’s government often control these investments. In addition it has supported organized crime with Russian organized crime controlling 1/3 of Europe’s heroin supplies. In the U.S. far-right groups have idolized Putin as being a defender of the white race and conservative values. Russia has actively sought to boost its influence and support from these groups including the National Rifle Association (NRA). Government officials close to Putin worked to strengthen ties with the group and even welcomed an NRA delegation to Moscow in 2015. The Russian Orthodox Church has also acted as a foreign proxy for the Kremlin’s message and the Russian state’s dominance in oil and gas has also served as a means of exerting pressure over European countries dependent on their reserves. Ukraine has bore the brunt of Russia’s attempts to control its state with a wide variety of tactics being employed, from trying to install puppet leaders, to conventional military attacks, cyber warfare, controlling oil resources and disinformation. Georgia faced an outright invasion along with simultaneous cyber attacks. A coup was planned for Montenegro that included storming its Parliament and killing the Prime Minister. Russia has boosted its control of NGOs and influence in the press in Serbia, and in Hungary, Russia has sought closer ties with its leadership and Hungary has expressed support for Putin’s leadership. In Spain the country has battled against Russian supported organized crime. The recent Catalonia referendum gave the Kremlin an opportunity to exploit divisions. 30 per cent of social media messages from Sept 29 to Oct 5 were found to have Russian connections. Germany, Latvia and the Netherlands have all faced Russian disinformation campaigns too. Countries in Europe have tried to recently counter Russian tactics which include a NATO presence in Latvia as well as working to support Russian media independent of the Kremlin and operating abroad. Countries have boosted their cyber capabilities as well as worked with media to expose Russian disinformation and tactics. Recommendations of the Report include a stronger stance from US leadership against Russia, freezing assets of Russians involved, more sanctions and coalitions to combat Russian tactics and boosting democratic values abroad and strengthening institutions among others. The question that remains is what specifically will the US leadership do to combat Russian attempts at destabilizing an international order that has benefited the US and the West for decades. What will US leadership do to combat election interference? With mid-term elections on the horizon and nothing concrete coming out of the White House, the time for actions and answers is quickly running out. Canada’s Magnitsky Act received Royal Assent today. Some may wonder just what all the fuss is about, especially if they haven’t been following this case. I will do my best to explain in general terms for a broad audience (which is of course who this site has always been geared to). Bill Browder was once one of Russia’s largest foreign investors. He was involved in investing in Russia’s lucrative oil industry. Browder found the identity of his investment fund stolen in order for the thieves to commit a large scale tax fraud in Russia. Browder hired lawyer Sergei Magnitsky to investigate. Browder had at one point thought that the regime of Vladimir Putin was different than Boris Yeltsin’s who allowed corruption and mafia influence to run rampant in government. In the early days of his investing, Browder went on an anti-corruption campaign exposing oligarchs who were stealing money from the companies he invested in, and initially Putin backed him, but only to stenegthen his own power. That backing ended when Putin arrested the biggest oligarch, the head of Russia’s gas company Gazprom,Mikhail Khodorkovsky. It was a message to others to fall in line and back Putin and also to share the wealth with kickback schemes that Browder has estimated to have netted Putin 200 billion dollars. When the identity of Browder’s company was stolen and charged with tax fraud, Magnitsky uncovered the entire scheme that implicated police and a number of officials in the Russian government. Browder and Magnitsky thought that if they presented their evidence to authorities, Putin being a nationalist, would clean this up. What they found was that there are no good guys in Putin’s Russia. Magnitsky was jailed, by the same police officers he testified against, and tortured. But as Browder has described, perhaps the Russians thought the Starbucks drinking lawyer would cave and recant, but he had principles and he refused. He was killed in jail, at the age of 37, a father to two young children. Browder now in exile from Russia, went to the US. The oligarchs engaged in criminal activity on behalf of the Kremlin kept the money the government paid them outside of the country, in places like the US and elsewhere, using it for boarding school for their kids, lavish gifts for girlfriends and so on. Browder asked the Senate leaders in the US if there was anything that could be done to target the individuals responsible for Magnitsky’s death and those that commit atrocities at the behest of the Kremlin for money. The result was the Magnitsky Act which banned visas for travel and the individuals assets. The Act was expanded to a global act in 2016. Browder uncovered Putin’s role in the kickback and tax schemes in the Panama Papers.The top investigator in the Panama Papers story Daphne Caruana was recently killed in a car bomb. Putin attempted to retaliate against the US for the Act by ending a practice where Americans adopted Russian children with a number of health problems from Down Syndrome to Spina bifida. It was beneficial to Russia because the state didn’t provide adequate funding for their needs. His ending of the adoption led to widespread protests in Russia, from doctors, teachers, people from diverse segments of society. Putin blamed Obama and Clinton for the protests. The Russian support for Trump plays into this story in that Trump afforded the Russians an opportunity to get rid of the Magnitsky Act. Browder has revealed that the lawyer that met Donald Trump Jr. in he summer of 2016, Natalia Veselnitskaya, was specifically sent to the US to engage in a campaign to get the Magnitsky Act repealed. Putin wants it gone for a very simple reason, his personal money is affected. Browder states that Trump and Trump Jr.’s statement that the meeting was about “adoptions” should be understood as code for sanctions. While the initial and primary goal of Putin is to get rid of the Act, sowing disorder and chaos in the West would still suit the overall goal of breaking up US alliances and destabilizing its main adversary. 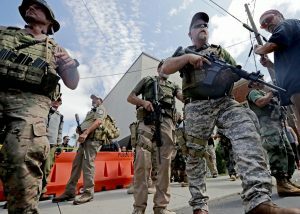 Russia has backed everything from far right ideologues to groups protesting violence against blacks by police in the US, to also interfering in US elections. This is to say nothing of its actions in Ukraine. The result is that Russia today remains one of the most serious threats the West has faced since the days of the Cold War. 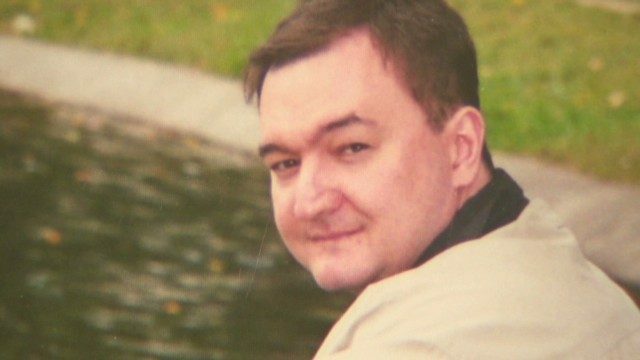 The Canadian Magnitsky Act sends the message that Canada is with its allies in condemning human rights abuses by Russian officials and a tribute to a man of principle that sought to do the right thing, and paid the ultimate price. Recently I received a new batch of documents, roughly 300 pages worth and spanning the period from the 1950s to almost the 1980s. I can confirm wiretapping under the authority of the Official Secrets Act did indeed continue for decades after P.C. 3486 but it was far from being done on a willy-nilly basis. What struck me most about these files is the serious concern the top brass of the RCMP, and in the Special Branch, had for ensuring their wiretaps were legal. It was surprising because the history on this subject often suggests that wiretapping was done by the RCMP in contravention of the law. To be fair, I don’t know who was being wiretapping and these documents are letters and memos from the highest offices. I’m missing the “on the ground” activities (in the early years, mid -1950s, the documents appear to suggest that the President of Bell had a record of everything). But so far, the perspective from the top was that warrants should be selective in their targeting and revoked if no longer required and revocations happen pretty often. In one instance in the mid- 1960s the RCMP top brass issues a warning to a regional office basically telling them that they are issuing too many warrants and for too short a period. That was taken as a signal to the RCMP top brass that the wiretapping orders were being used to help gather investigative leads and that warranted the scolding. The senior leadership wanted targets to be selected after investigative work was done and not the other way around. In the late 1960s the RCMP was also in favor of having the government put forth a National Security Act that would set out a clear legislative authority for wiretapping and it would also contain offenses and punishments for national security offenses, like espionage, treason and sabotage. Obviously, this didn’t happen. In one interesting exchange a regional office not wanting to run afoul of its superiors asks if they should be reporting on the phone calls made by a house guest staying in a target’s home. The guest would be there for 3 months. They were advised that they of course had to listen to conversations made by anyone using the phone from the residence but needed to only make reports on conversations that had intelligence value. So, yes, dinner and house guests could have their conversations monitored. But the interesting point here, is that the question was carried all the way up to senior leadership to ensure the monitoring was legal. 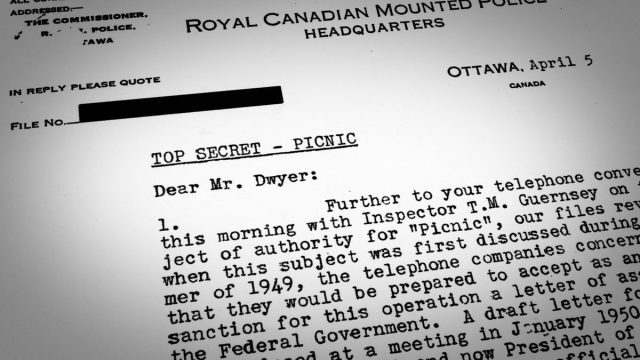 The files offer more insight into Cold War era wiretapping and the construction of mass surveillance infrastructure in Canada. The reoccurring theme in these documents was the care the security services took to ensure they were operating under the letter of the law. Most importantly, the government was continually “in the know” on what was occurring. This makes the “surprise” some government officials displayed at the McDonald Commission on RCMP activities in the late 1970s, more implausible, and perhaps, more troubling. I am making publicly available the primary source documents that I used not only to construct my Canadian Historical Review article, but that also led to the media interest in December 2016. It is a sizeable download at roughly 46 MB but you should find it interesting reading. There is clearly more to this story that I’m working on piecing together but that will take time and as a result I’ve no idea what I can make public again for some time. I’m pleased to say I’ve had more positive conversations with government officials about releasing material. I still have some wait times that I think can be reduced but I’m hopeful. I think the most positive thing about this release was that a) the sky didn’t fall, there was no security risk at all in releasing this document b) people took interest in this history. People were genuinely interested in reading about this material and history and wanted to know more. I think it actually has had the opposite effect of perhaps what some may have thought. I’m often amazed at how many students have asked me about joining the intelligence world (can’t help with that sorry) even after I’ve told them as complete a history as I know, successes and failures, wins but also scandals and abuses. This only became a media story when the Privy Council made it one by denying access. 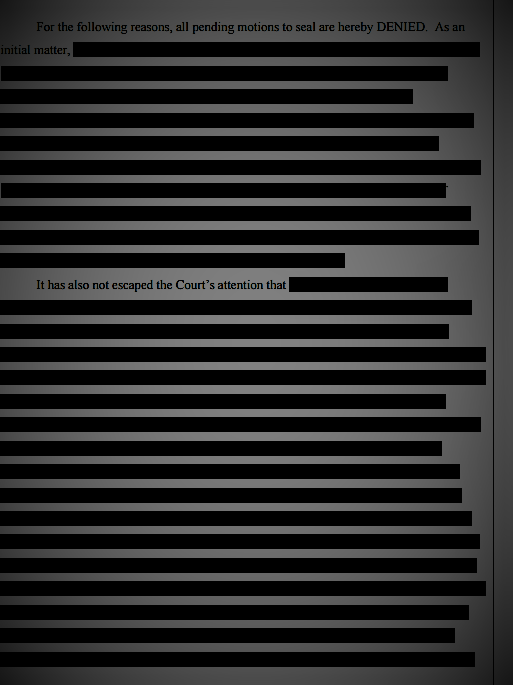 It was the excessive secrecy that made the story. As an example, few people outside of those closely following this (mainly in academia) recall the story about 3486 getting released, even though that was hugely important. Many more people recall government wiretapping and “secret archives” out of these stories. To be fair the office was simply following protocol. It’s policy that is the problem not people. But if the government is concerned about access and past scandals, the takeaway should be transparency and openness mitigates it. It also tells people “This is how it was, it’s not the same anymore.” Be open and honest with your history. Despite these positives the recent bill C-58 proposed by the government is not a good sign for Access to Information reform. It places more burden on the requester who often doesn’t have a complete picture of what’s available and also reintroduces costs. It almost reads as a bill designed to curtail access. If this was the legislative result from all this media, this is not a positive sign. All my requests could very easily have been dismissed under this new legislation as frivolous, which is now possible with this bill, and as the public saw, they were far from frivolous. Hopefully the government directs the legislation more toward increasing access rather than curtailing it. There is plenty of time to do this. Scroll to the bottom of the pdf for the start of the primary source file. Happy reading. 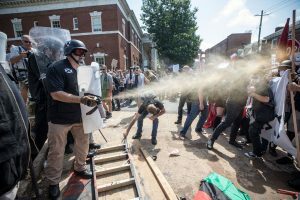 The events in Charlottesville raise important questions about the role of ideology in government, particularly in regards to the long held doctrine that public servants remain non-partisan. It is practiced in Canada, and for good reason, you don’t’ want public servants acting on the basis of political ideology and supporting one party or another. It could raise serious issues in governance. But what has happened in the U.S. this week, and the President’s response especially, has raised questions about where you draw the line as individuals working within government. Consider the possible ramifications of all of this. 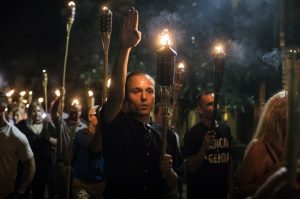 If the President continues his defense of white supremacists and Neo-Nazis, and you oppose this for very good reasons, and you resign rather than work for the administration, what then? Does the administration then fill up the White House with supporters of this ideology? In other words, what happens when your boss doesn’t believe in the principles of non-partisanship in the public sector? Why are we at this juncture? There are many reasons but one not often discussed is that Western governments have for far too long rested on the notion that they were somehow always above board, and that the extremism and radicalism found in other parts of the world, including in Europe, were problems that happened “over there,” and if they were here, they were “foreign” and “imported.” History supposedly ended remember? Western-style democracy and liberalism were thought by many as superior to other forms of government and other ideologies found elsewhere. So there’s been no effort to even think of contingency plans, the problem must have always been external. 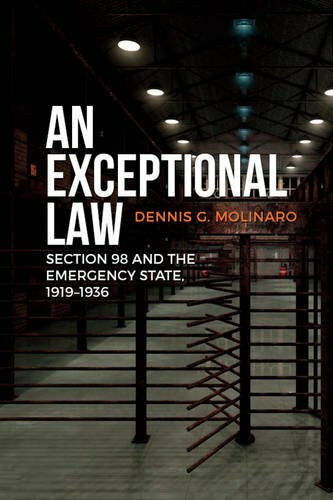 State institutions here could whether the storm of extremism and prevail being morally superior. These ideas and sentiments were always erroneous and now with the Presidency of Donald Trump they have been completely thrown to the wind. Because clearly there are some who recognize the weaknesses in our system (and even media) and its inability to contain the kind of ideological radicalism that people like Trump et al espouse and these individuals have exploited the weaknesses in the system to achieve power. I think these problems are merely in their infancy and will continue to grow, just as much as I feared the rise of radicalism 10 years ago when I began my doctorate on the subject during WW1 and the inter-war period. I saw frightening parallels with our own time and I don’t see things improving. The only positive thing I see is increased awareness but we still don’t have a means of dealing with the issue when it comes to government. When your government wants to be radical and partisan and expects it of its employees, what happens then? Do you cross your own moral boundaries and dive in, or leave, only to be replaced by ideological followers loyal to “the Party” or leader? Something that many people have failed to consider is the ways in which partisanship is a security risk. It causes division in society that enemies can exploit and fuel. Further, there has been long standing resentment in the population as a whole with politicians of all stripes because there is a very real feeling that people are not being heard. This is dangerous. One phrase I recall from the era of the Great Depression by a Canadian Senator advising the PM about worker unrest, was that people “could hardly expect to starve quietly.” Granted the economy is not as bad now as it was then, but there is a feeling it is on a tightrope that could snap at any minute and rhetoric by political leaders will not solve it. This has been brewing for some time and in the U.S. Trump and company exploited it to full effect.The violence in the U.S. can easily happen here and already is. Remember that Trump came to power largely out of disaffection and disgruntled voters who saw “hope and change” of the Obama years as mostly rhetoric and Obama as a leader of an economy that failed them (the Rust Belt helped Trump win). Trudeau could very easily disappoint in Canada because of the many huge promises that were made and were unrealistic to start with and an uncertain economy and deficit facing down the government in a few years time. Hostility to free trade policies began in Canada not in the U.S. and there’s plenty of people feeling they’ve been left behind in Canada. Radicalism isn’t new to Canada either. Just recently the “Canadian Nationalist Party” wants to publicly demonstrate at the University of Toronto. This was the name of Canada’s Nazi/Fascist party of the 1930s before it merged formally with the Nazis in the ’30s. Violence has already broken out in Hamilton. These groups are trying to exploit their “right to free speech” in order to be heard. Voting trends are also a sign of trouble. I remember roughly 10 years ago when fewer and fewer voters went to the polls, and I remember people saying “if you don’t vote you don’t get a say” and the media and Elections Canada were thinking the problem was simply voter apathy and that people didn’t care. That may account for some of it, but a decrease in voters I always saw, and still do, as a much more serious and troubling sign and it was certainly a message. To me it signals resentment. It signals that the individuals and the system that elects them is losing legitimacy among people. If that continues as it has, we are left with people turning to leaders they think are not like “traditional” politicians and who can solve all their problems if they just abandon their reservations, however immoral the actions of the politician might seem, and trust them.